* All of our Full Day Fishing Trips include a hot meal, unlimited soda, coffee, and water, rod, reel, bait, Florida Fishing License, and free parking! in Port Canaveral, Florida. WEDNESDAYS ONLY! * All of our Half Day Fishing Trips include a hot meal, unlimited soda, coffee, and water, rod, reel, bait, Florida Fishing License, and free parking! * All of our Evening Shark Fishing Trips include include a hot meal, unlimited soda, coffee, and water, rod, reel, bait, Florida Fishing License, and free parking! We will honor and beat all competitor coupon prices! 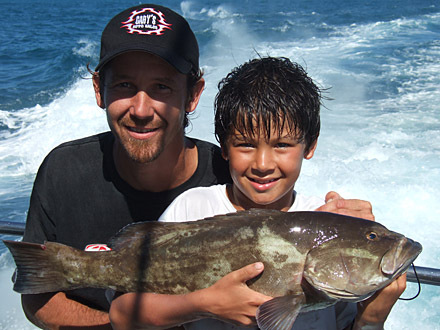 Space is limited on all of our fishing trips, so we ask that you make a reservation ahead of time. To reserve a specific spot on one of our trips, you can either call (321) 783-5274 (Port Canaveral). We're available from 6AM-9PM 7 Days a Week! If you purchase tickets online you must specify which trip date and time you are booking for under special instructions. You still confirm availability/reservation by phone. We supply fresh caught cut bait and squid. 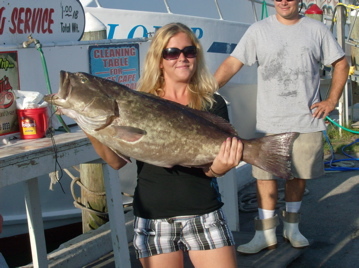 To catch the really big fish, specialty bait is available for purchase. Cash Galley aboard for hot food, snacks, soda. We do not issue refunds, RAIN CHECKS ONLY. - For sea sickness take 1 non-drowsy Dramamine 12 hours prior to your trip and an additional one 1 hour prior to your trip. Please read the information on your Dramamine package. -Be prepared for all weather elements.